Sharon and Kevin’s murder mystery Halloween wedding. Featured in Offbeat bride, article here. 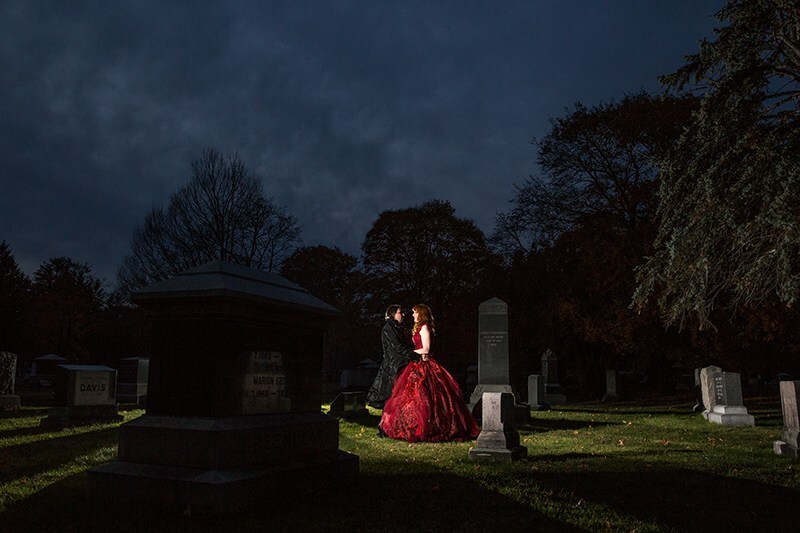 Gothic red wedding dress; corset and full skirt over hooped petticoat. Mixed materials, including; lace, velvet, organza and taffeta.